In the last half of 2012 I developed our digital communications strategy for 2013. One obvious area that needed attention was our church website. One problem was looming large on the horizon in 2013. Globally PC sales are the slowest they have ever been. Tablet and smart-phone sales are rocketing. Consumer behaviour is radically shifting and the church needs to move with it. I’ve been an advocate for the need for churches and non-profits to think ‘mobile first’ for over a year now, the long-term trends suggest that mobile usage will become the predominant way we consume web content in the future. Our own web analytics are showing that mobile web and tablet usage is increasing exponentially year on year. 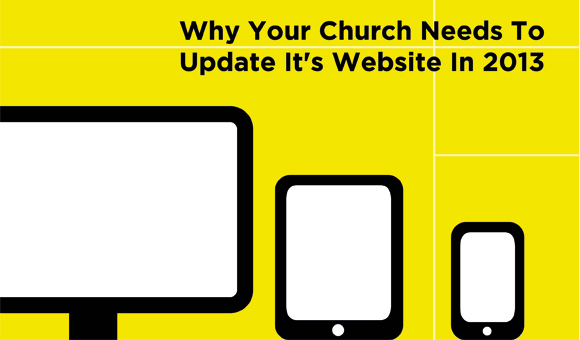 Some churches were early mobile adopters and adapted a two-fold approach – a mobile site and a desktop site. That was great until tablets came along and spoilt the party. Now churches need to create a great viewing experience at multiple sizes. Can’t we just build an app? Many churches have started developing their own church app’s and I’m an advocate for apps. We have built one ourselves. However research shows that in the church world at least App’s are for insiders, mobile web is for outsiders. That means that if a church is on mission it should also create an experience crafted for the great commission. Pew Research says that 60% of tablet users prefer reading news on the mobile web than via an app. While I think churches should certainly offer apps, it’s clear that having a great mobile website should be the priority. The bottom line is that it’s not a choice between App or Web. Churches need a both/and digital communications strategy. How can a church have a website that will work seamlessly on mobile/tablet and desktop in 2013? The answer is simple. Responsive designed church websites. 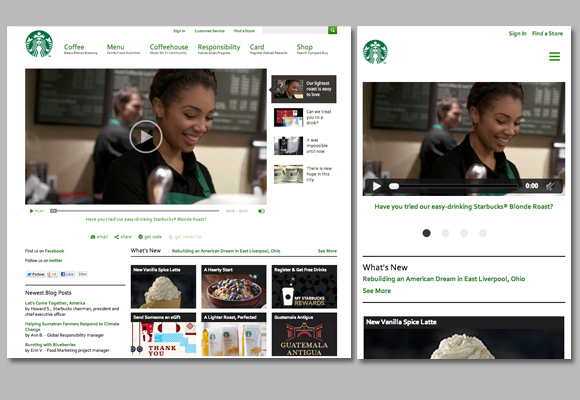 What is responsive design? I’m glad you asked. Responsive design is simply when your website detects what device you are viewing from and responds accordingly. Responsive design alters the image sizes automatically and reorders the information to a predesigned order to fit the device you are viewing from. Is responsive the only answer? For the moment my call would be absolutely yes. But remember responsive design is just a tool. It is simply a means to help you communicate across the different devices, it isn’t an end in itself. Some day, a new thing will take over. Remember flash? Same deal. This problem obviously isn’t just confronting churches, but all non-profits and businesses will also need to respond. Many are already responding. We are half-way through rebuilding ours. It was suprisingly easy, there are so many responsive wordpress and joomla templates out there so its doesnt have to be a hard or costly exercise. Mobile visitors make up about 20% of our site visits, and we’re from the country so Im sure its much higher in urban areas and churches that have young congregations. I’ve seen a quite a few themes around that are responsive too. Our stats are along similar lines to yours. I think the challenge is that even if a church adopts a responsive approach, it can still look awful. Design and usability needs to still be at the centre! I’m launching a new site for my church hopefully next week, and our biggest concern was that it be responsive. People use mobile devices to view websites, and we don’t want to hinder them from the opportunity to encounter God just because they can’t load our site on their mobile device. I totally agree with this post and “Responsive” is now the main feature I look for first when getting a WordPress template. It is much broader then just mobile growth but also about the diversity of devices and browsers (phones, tablets, laptops etc.). Anyways glad you are helping others see the importance of it. Good to hear from you Daniel! Hi Sandy, I tend not to dive down into coding specifics as I don’t know enough about them! I write about general shifts and directions that I see out there. I think the goal of responsive design is good, but the result sometimes adversely affects usability. One example: Responsive design may force iPhone/iPad web page fonts to very small sizes that cannot be enlarged by pinch/zoom. 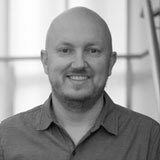 Actually a responsive isn’t the only answer (“responsive” as in the CSS changes depending on the size of the viewport) — another option is to create a mobile version of your website, which can be very different to the “Desktop” version and generally lives at a separate URL from that version. It would cost more so you’d have to make sure the user base was there, but it would allow for a better user experience because, in theory, the site is designed with mobile user in mind — the whole info-architecture (not just the user interface) can be specific to a mobile device. True Malessa, you can opt for the dual approach with the same content, but for many churches this is definitely the smart way forward. thanks for dropping the link. I had a look. How did you find the development process? Great stuff. I’ll add another piece – there’s no need for a middle of the road solution anymore either. We’re relaunching our church site at peachtreepres.org, thinking big and small. People are either viewing on a mobile or on larger desktop screens, so we launched a 1200 wide site in November and are going to create a mobile web version next. We have an app already, but may convert that primarily to members login – not sure on the last piece yet. Steve, I think you mentioned you had some vendors/designers re: developing a responsive site. Could you please email a few to me so I can get some budget ballpark re: this? Thanks much. Hi Jonathan, I don’t this is a responsive issue. It’s a priority issue. What is the most important things you want people to know about balanced with what areas of your site are people visiting? If you can look at your analytics that will tell you one side of the story and you/and your leadership will need to determine the other side of the coin. Hope that helps! Don’t forget to subscribe via email or RSS… I’ve got lots of web posts coming up.